California has some of the lowest child vaccination rates in the country, with pockets of the state seeing lower vaccination rates than war-torn third-world countries. That may soon change, as the California Assembly has recently passed one of the toughest mandatory vaccination laws in the country, banning religious and personal belief exemptions. (Medical exemptions, such as for those with allergies to vaccine components, remain legal.) An unvaccinated child would not be permitted to attend public schools, although they would be allowed to be home or privately schooled. California was home to an outbreak of measles earlier this year that infected many people who were either unvaccinated or too young to be vaccinated against the disease. This sparked a public health conversation about vaccines in the state. The anti-vaccine movement grew substantially following the publication of a (now thoroughly discredited) article that suggested the measles/mumps/rubella vaccine caused autism in children. Since then, despite mounds of evidence saying that there is no link between the vaccine and autism, parents have vaccinated their children at lower rates. 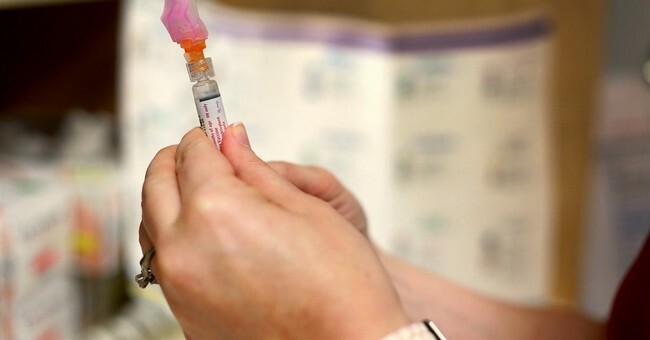 The measure, among the most controversial taken up by the Legislature this year, would require more children who enter day care and school to be vaccinated against diseases including measles and whooping cough. Those with medical conditions such as allergies and immune-system deficiencies, confirmed by a physician, would be excused from immunization. And parents could still decline to vaccinate children who attend private home-based schools or public independent studies off campus. It is unclear whether Gov. Jerry Brown will sign the measure, which grew out of concern about low vaccination rates in some communities and an outbreak of measles at Disneyland that ultimately infected more than 150 people. Medical experts, including Dr. Luther Cobb, president of the California Medical Assn., hailed Thursday's vote by the state Assembly as key to keeping deadly but preventable diseases in check. California would become the third state to eliminate religious exemptions for vaccines, and the 32nd to ban "personal belief" exemptions. Good. There's no excuse (well, apart from allergy or severe, rare, illness) to deny your child a vaccine. Unvaccinated children can easily spread illnesses like whooping cough to children too young or medically fragile to be protected against them. Whooping cough is especially important to vaccinate against in schoolchildren to avoid passing on the illness to infants or very young other children that are at a higher risk of dying from the disease than their older peers. Vaccinations save lives. It's high time Californians realized this.